There is always an opportunity when you are a little tight on the storage available on your Personal Computer. The first solution to this is to get rid of the data that is no longer of use. But when even this doesn’t work, the best option for you is to buy an Expansion Hard drive. The Seagate Expansion External Hard drive not only gives us more storage space but it also available at a budget-friendly rate. The price of Seagate Expansion 3TB External Hard Drive is INR. 12444. The Seagate Expansion 3TB External Hard Drive is super easy to use as you don’t require to set it up separately. The hard drive has USB 3.0 but it also performs at a fast speed with USB 2.0. The transfer rate with USB 3.0 is really fast and can go up to 500 Mbps. Coming to the aesthetics, the hard drive looks like a black box and it doesn’t occupy much space. It is compact and sturdy and it can maintain data for a very long time. The Seagate Expansion 3TB External Hard Drive is good to go option to expand storage and avail as much data as you want. 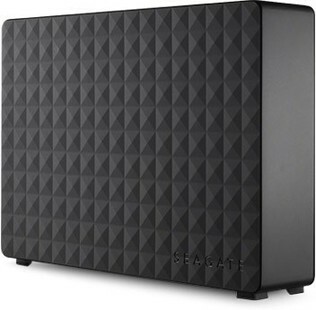 Seagate Expansion (STEB3000300) 3TB External Hard Drive full specs and reviews as of Apr 2019. Buy it here!